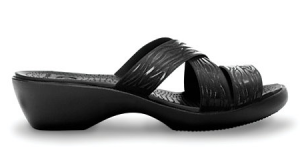 Crocs Clearance Sale plus FREE SHIPPING! Crocs is having a clearance sale and they’ve got over 100 items marked down to $19.99 and free shipping is included, too! Some of the original retail prices on these shoes are $50-$60, so you’re saving up to 60% off! They’ve got styles for the entire family! All items must be purchased by 11:59 p.m. ET today. Items are available while supplies last and some items will sell out quickly. Crocs 50% off sale plus free shipping! Crocs has marked down even more items! You can save up to 50% off retail prices and get free shipping, too! They’ve got shoes for the entire family and prices start at just $14.99! I always sort by lowest to highest to find the best deals. Make sure you enter the code JUNESHIP to score free shipping with no minimum purchase requirements! This code is valid through 6/28/13! 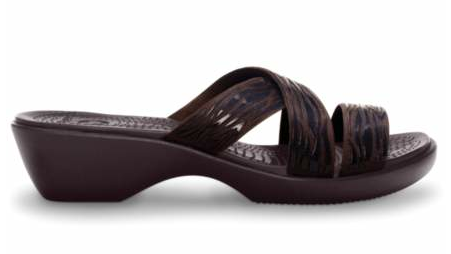 Crocs Sale: 25% off your total purchase and free shipping! Crocs is having a Friends & Family sale that ends TONIGHT! You can get 25% off your total purchase and get free shipping (no minimum purchase requirements), too! This applies to sale items, too! Choose from hats, backpacks, flip flops and sandals! There’s something for the whole family! Prices start at just $19.99 for shoes, which makes them just $14.99 after the coupon! Enter the code 25OFF at check-out for your savings and the code JUNESHIP to get free shipping! This sale ends tonight (6/12), so shop now! 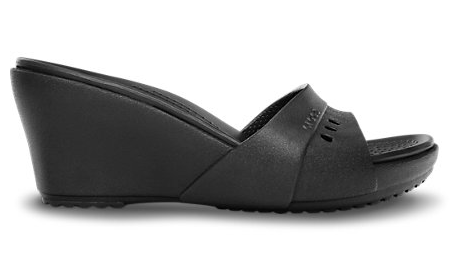 Crocs Shoes Sale: prices start at $11 shipped! My kids LOVE Crocs flip flops and I have to admit I do, too! I get new ones for all of us every year and my kids were just asking me the other day when I was going to get them some. I’ve been holding out for a good sale and I found it today on 6pm.com! Don’t miss this Crocs Shoes sale! You’ll save 30-50% off retail prices! Prices start at $11 shipped for shoes and you can get caps and backpacks for $9.99! I just bought Crocs for my whole family for $20 less than I would have paid on Crocs.com the last time 6pm.com had this sale! Shipping was really fast, too! 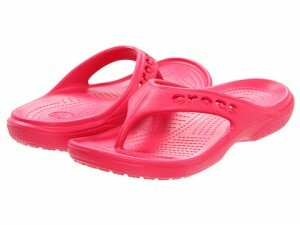 If you haven’t tried Crocs flip flops before, they are SO comfortable! When I ordered mine, I got them really fast, too! Crocs $5 off ANYTHING plus free shipping! 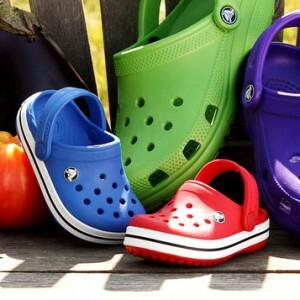 If you love Crocs, make sure you take advantage of the Crocs $5 off coupon! You can save $5 off ANYTHING (excluding Final Sale products) and get free shipping, too! This means you can get items for as low as $9.99 shipped! I LOVE Crocs and buy new ones every summer! They’re so comfortable! To get the most bang for your buck, make sure you click on the sale tab and then sort by lowest priced to highest priced. Enter the code TAKE5 at check-out to get the $5 off! The sale runs through 5/22/13.